Social Security’s Office of Media and Logistics Management’s Personal Property Team (PPT) won the prestigious 2018 Miles Romney Achievement Award for Innovation in Personal Property Management. The PPT won the award for their outstanding efforts in reusing, donating, and recycling 2,700 pieces of excess furniture and equipment from the nine floors of the Altmeyer building at headquarters. The team created an intranet catalogue of excess equipment, which helped Social Security and other federal and state agencies reuse 1,600 pieces of property. This system saved the government more than $250,000 in property replacement costs. Social Security’s Ticket to Work (Ticket) program won two MARCOM Gold Awards for its Strategic Plan and its August 2018 webinar. MARCOM awards are sponsored by the Association of Marketing and Communication Professionals to recognize excellence in the distillation of ideas, messages and media by marketing and communication professionals. In the August 2018 Work Incentive Seminar Event (WISE) webinar, experts presented information for individuals and organizations that serve people who receive Social Security disability benefits and who may be interested in joining or re-joining the workforce. 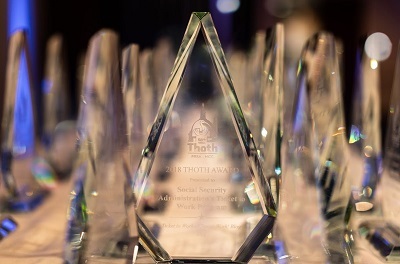 Social Security’s Ticket to Work (Ticket) program won the PRSA-NCC prestigious Thoth award for the Choose Work! Blog and an Award of Excellence for its Choose Work website. Named after the Egyptian god of communication, the Thoth awards recognize outstanding strategic public relations programs and components developed and produced in the Greater Washington, DC area. The Choose Work! Blog focuses on providing helpful, motivational and enriching information about the Ticket program and topics that range from job search tips and mentoring to Social Security’s Work Incentives and disability-related employment. The Choose Work website is the central hub for Social Security’s Ticket to Work program information, news and resources for the agency’s disability beneficiaries, and individuals and organizations with an interest in disability employment. Social Security’s Ticket to Work (Ticket) program won two Honorable Mentions for its Choose Work! Blog and its Success Stories from Ragan Communications. The Ragan awards celebrate successful campaigns and initiatives in the communication, public relations and marketing industries. The Choose Work! Blog focuses on providing helpful, motivational and enriching information about the Ticket program and topics that range from job search tips and mentoring to Social Security’s Work Incentives and disability-related employment. Success Stories are personal narratives of individuals with disabilities who have benefitted from participating in the Ticket program. Social Security won three Blue Pencil & Gold Screen Awards and an Award of Excellence from the National Association of Government Communicators (NAGC). In the “K-12 Educational Programs” category, our Social Security Educator Toolkit won first place. It provides information and resources to develop engaging and informative lessons on Social Security. The visual product, What is Social Security?, which explains how our agency promotes the economic security of the nation’s people, also placed first in the category of “Infographics.” In “Electronic Publications,” our blog Social Security Matters won second place. We were also honored with an Award of Excellence for our video “We Are There” that explains how Social Security is there for you throughout every stage of your life, securing today and tomorrow. Social Security’s Continuous Quality (CQ) Area Director Review Process Team won Graduate School USA’s 2016 W. Edwards Deming Outstanding Training Award. This award is presented to a federal government organization or civilian branch of the military that has demonstrated innovative training excellence through a beneficial workforce development training program. CQ increases the quality and accuracy of workloads processed in field offices, educates technicians, and improves work processes in a timely manner. Since 2014, more than 86,000 reviews have been completed, and the rate of cases requiring corrective action has improved by 16 percent. CQ will continue to emphasize Social Security training and employee development in years to come. The CQ team received the award at a ceremony in Washington, D.C., on October 5, 2016. Social Security won three Awards of Excellence from the National Association of Government Communications (NAGC) at their awards ceremony in June 8, 2016. In the category of “Educational Programs,” we received the award for our 80th anniversary video, a creative look at the changes in the program and society over the past 80 years and featuring candid stories from executives. In the “Documentary,” category, we were awarded for the “Oklahoma City – A Survivor’s video,” produced by the Historian’s Office. Finally, we received the award in the “Special Event” category, for the Ticket to Work Virtual Job Fair, a first-of-its-kind event for disability beneficiaries to meet federal contractors looking to hire. The Office of Electronic Services and Technology (OEST), within the Office of Operations, won the FedHealthIT Innovation first place award for the Customer Engagement Tools (CET) program in the Digital Engagement category. The CET program includes innovative projects for the web and most recently has focused on a search widget, called Dynamic Help, along with a suite of ‘Click To’ customer services such as Click-to-Call-Back and Click-to-Chat. Although relatively new, the program has started with great success. To date, the Dynamic Help widget has been accessed over 5.6 million times. The tool helps users to stay in their preferred service channel and seek answers to their own questions. This useful tool allows us to concentrate our continued efforts on providing a superior customer service experience. The award was presented at the State Theatre on May 4, 2016. Foresee held their annual forum in Washington DC on Monday, April 4, 2016. During the celebration SSA was awarded the ForeSee Digital Excellence Award for our consistent eService excellence, high customer satisfaction scores, and for having the greatest improvement in score since the start of measurement. Based on the latest ForeSee Quarterly E-Gov report, SSA’s customer satisfaction scores continue to dominate the federal website rankings. The Retirement Estimator, Extra Help with Medicare Prescription Drug Plans and iClaim all tied for first place, with the my Social Security application in fourth place, and Business Services Online staying in the top ten, giving SSA five of the top ten spots. Staff from the Office of Electronic Services and Technology (OEST) was on hand to accept this award on behalf of OEST and SSA. Social Security was an awardee in the 2015 Social Media Icon Awards competition at their awards ceremony in Miami Beach on June 3, 2015. The event honored the agencies, companies and the people who crafted campaigns and strategies that broke the mold in social media communications. 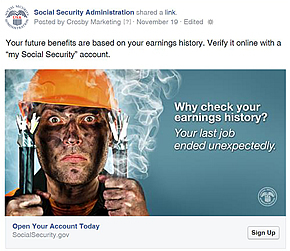 Social Security was an Honorable Mention in the Facebook Best Marketing Campaign category for the agency’s my Social Security Facebook Campaign. The campaign successfully generated increased awareness of my Social Security, producing over 25 million impressions about our services. Those impressions generated 291,650 visits to the my Social Security landing page to learn more about all the benefits of my Social Security. Nearly 18,000 people began the conversion process to create an account upon visiting the landing page. 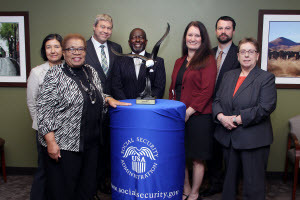 Social Security won two Blue Pencil and Gold Screen Awards from the National Association of Government Communications (NAGC) at their awards ceremony on June 3, 2015 in Nashville, Tennessee. 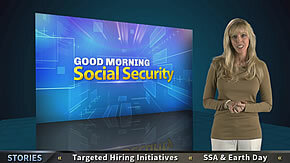 In the category of “Internal Communications,” we received first place for our weekly news video for employees, “Good Morning Social Security.” In the “Promotional Campaigns” category, we earned second place for our “Someday” campaign, which features multi-channel publicity encouraging the public to create a my Social Security account on our website. The Center for Plain Language selected the enhanced Social Security Frequently Asked Questions (FAQ) Website for the “ClearMark Award of Distinction” in the Public Sector Websites category. The ClearMark awards are given yearly to the best plain language documents and web sites. Entries are judged by a panel of international experts, following a strict set of criteria. The award was presented at the ClearMark Award Ceremony at the National Press Club in Washington, D.C. on May 12, 2015. 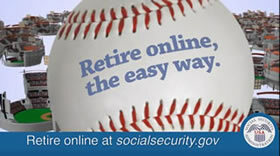 Social Security won first place in the Blue Pencil and Gold Screen Awards given by the National Association of Government Communications (NAGC) for its public service announcement, “Retire Online.” The announcement features a baseball theme and promotes the popularity and convenience of applying for Social Security retirement benefits using its secure online application. The award was given at the National Press Club in Washington, D.C. on June 12, 2014. The Center for Plain Language selected the redesigned Social Security Internet for the “ClearMark Award of Distinction” in the Public Sector Websites category. The ClearMark awards are given yearly to the best plain language documents and web sites. Entries are judged by a panel of international experts, following a strict set of criteria. 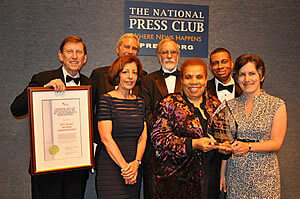 The award was presented at the ClearMark Award Ceremony at the National Press Club in Washington, D.C. on April 22, 2014. For the sixteenth consecutive year, the Social Security Administration received the prestigious Certificate of Excellence in Accountability Reporting (CEAR) award. SSA is the only agency to win this award sixteen years in a row. Each year The Association of Government Accountants (AGA) recognizes the outstanding performance and accountability reporting efforts of the federal agencies. We also won a best in class award for best improper payments elimination and recovery act reporting. View the entire awardee list. For the fifteenth consecutive year, the Social Security Administration received the Prestigious Certificate of Excellence in Accountability Reporting (CEAR) award. Each year The Association of Government Accountants (AGA) recognizes the outstanding performance and accountability reporting efforts of the federal agencies. SSA was among 20 Federal Agencies that received this award for Fiscal Year 2012. Diane Braunstein, now the Associate Commissioner for International Programs, received the 2011 Citizen Services Medal from the Partnership for Public Service at the Samuel J. Heyman Service to America Medal Awards Gala. 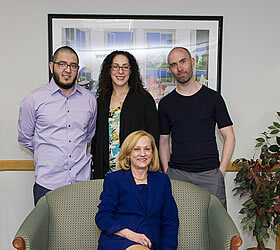 Ms. Braunstein oversaw the development of the Compassionate Allowances program, which fast-tracks disability decisions to ensure that Americans with the most serious disabilities receive their benefit decisions within days instead of months or years. For the third year in a row, Social Security was recognized as one of the top ten "Best Places to Work in the Federal Government". Social Security employees rate their agency as one of the Best Places to Work in the Federal Government according to The Partnership for Public Service and American University’s Institute for the Study of Public Policy Implementation. Among the large federal agencies in the top ten Best Places to Work, Social Security also had the greatest improvement in overall employee satisfaction. The Best Places to Work in the Federal Government® rankings draw on responses from more than 263,000 federal employees to produce detailed rankings of employee satisfaction across 290 federal agencies and subcomponents. Data from the Office of Personnel Management’s Federal Employee Viewpoint Survey is used to rank agencies according to a Best Places to Work index score, which measures overall employee satisfaction. In addition to the employee satisfaction rating, agencies are scored in workplace categories such as effective leadership, employee skills/mission match, pay and work/life balance. Social Security employees gave the agency higher ratings in all of these categories when compared to the prior survey. To learn more about careers with Social Security, go to www.ssa.gov/careers. For more information about the Best Places to Work in the Federal Government® rankings, go to www.bestplacestowork.org. Social Security's Online Services Take Top Three Spots in Customer Satisfaction Survey. Michael J. Astrue, Commissioner of Social Security, announced that the agency's online services continue to be the best in government and exceed the top private sector sites in customer satisfaction. In results from the American Customer Satisfaction Index (ACSI), Social Security's online Retirement Estimator and benefit application remain in the top spots, each with a score of 90, and the Help with Medicare Prescription Drug Plan Costs application placed third with a score of 87. Social Security online was selected by Nextgov as one of five government sites "that employ what consultants say are best online practices." The full report can be found here . In the third quarter ratings of the University of Michigan's American Customer Satisfaction Index for Federal Websites, the Social Security Administration's new online Retirement Estimator ranked as the best in government. The Retirement Estimator debuted with a score of 90, the highest score in this survey and the second-highest score ever received by a government website. Several other Social Security online services also are rated among the government's top performers and equal to the highest caliber private sector sites, such as Amazon and Google. The " Multilanguage Gateway" has won a Standard of Excellence WebAward (third place) in the government category from the 2007 Web Marketing Association competition. The 2007 WebAwards named the best websites in 96 industry categories. Nominations for best web site came from interactive agencies and web site marketing departments in more than 33 countries from around the world. The Web Marketing Association was founded in 1997 to set a high standard for Internet marketing and site development on the World Wide Web. A list of websites that won awards in the 2007 competition can be found at http://www.webaward.org. The Social Security Administration was ranked one of the top ten "best places to work" and the most improved large agency by The Partnership for Public Service and American University's Institute for the Study of Public Policy Implementation. The "Best Places to Work" rankings are based on the results of the Office of Personnel Management's Federal Human Capital Survey, a government-wide assessment of federal employees' job satisfaction and their level of satisfaction with their particular organization. A closer look at the ranking data shows that SSA scored very high in the following areas: employee skills/mission match; teamwork; effective leadership; performance-based rewards; and advancement, training and development. "I'm very pleased that this score reflects what many of us already know-- Social Security is a great place to work," said Michael J. Astrue, Commissioner of Social Security. "It's my sincere hope that anyone thinking about a career in public service will seriously consider Social Security." If you want a position with professional and personal growth potential, then join our team at Social Security! Social Security Administration Business Services Online Site recognized as a Leader in Online Customer Satisfaction. The Social Security Administration (SSA) Business Services Online website has received a top satisfaction score in comparison to the recent survey by the University of Michigan's American Customer Satisfaction Index (ACSI) for E-Government. SSA's Business Services Online website received a score of 82, using the same methodology used by the ACSI, based on a 100-point scale. With this high score, the SSA Business Services Online site outperforms the aggregate score for federal government websites (72.6) by nearly 13 percent. The Digital Government Achievement Awards (DGAA) for 2004 have been announced by the Center for Digital Government. The awards program recognizes outstanding agency and department Web sites and applications that enhance interactions, transaction and/or services – in four categories: government-to-government, government-to-citizen, government-to-business, and government internal. The DGAA is produced in conjunction with the Center's annual Best of the Web (BOW) contest. BOW recognizes the most innovative, user friendly state and local government portals, while the DGAA spotlights some of the nation's most creative, advanced government Web sites' applications. The Center received more than 300 combined entries for the awards programs. On January 14, 2004, at the Microsoft Government CIO Summit in Redmond, Wash, Microsoft Corp, with Government Technology's Public CIO Magazine, awarded the Social Security Administration the Microsoft Government Solutions Award in the Government to Citizen category. This award is for E-initiatives aiming to enhance government-to-government or government-to-citizen interaction, transactions, and/or services and was given to recognize the Internet Social Security Benefit Application, found on the www.socialsecurity.gov website. The award reads: "Recognizing an innovative and exemplary Information Technology solution for the Public Sector. Awarded to the government solution which best demonstrates as effective use of Information Technology in helping government perform it's (sic) mission more effectively or provide superior service to the citizens." Made up of 3 separate parts, the application allows a person to apply for Social Security retirement, disability or spouse's benefits, or any combination of those benefits online, and eliminate the need to come in or call a social security field office. Read about the award's background here. A Congressional report card rates Social Security's computer security efforts among the best in Federal government. This report card, issued by the House Government Reform Subcommittee on Technology, Information Policy, Intergovernmental Relations and the Census, gave the Social Security Administration a grade of "B+," the third highest among Federal agencies. Social Security has been among the top-ranking government agencies each of the four years the report has been issued. "For more than 68 years, Social Security has honored its commitment to the American people to maintain the confidentiality of our records," said Jo Anne Barnhart, Commissioner of Social Security. "Through hard work and dedication, we have earned a well-deserved reputation as an Agency worthy of the confidence and trust of the American people." In the three previous years the report card was issued Social Security has fared well, earning the highest grade in government in 2002 and 2000, and the second highest mark in 2001. The subcommittee's computer security grades are based on information contained in agency reports required by the Federal Information Security Management Act (FISMA). The report ranks SSA's Website 3rd overall, up from 6th last year. The Social Security Administration's website ranks third out of the federal websites and, according to the Brown University report, the website "includes useful information such as how to protect against identity theft as well as a host of databases and statistics including a 'monthly statistic snapshot'. From a menu bar at the top the user may select foreign language translation into 15 separate languages. Following accessibility standards, the SSA's website is both WC3 and Section 508 compliant. The website offers 17 separate services which include applying for retirement benefits on-line and requesting a Medicare card on-line. There is also a link soliciting feedback on the website's "new look" and the option to receive the SSA's electronic newsletter. A convenient drop-down menu at the top of the screen provides answers to hundreds of frequently asked questions arranged by topic. The SSA's website also includes fun information like a "kids" page and a list of the most popular baby names for 2002." Social Security Online won the 2003 WebAwards Standard of Excellence award, which recognizes web sites that are "the standard of excellence for which all corporate web sites should strive." WebAwards are given by the Web Marketing Association, founded in 1997 to set a high standard for Internet marketing and site development on the World Wide Web. WebAward entries are submitted by various agencies, web site owners or in-house marketing and e-commerce departments from more than 19 countries worldwide, and judged by a panel of independent Internet experts in such areas as design, navigation, innovation, and usefulness to target audiences. The National Federation of the Blind awarded its Non-visual Accessibility Web Application Certification to the Social Security Administration's redesigned home page and online form I3368 (Disability Report). The Social Security Administration is the first federal agency to earn such an award. "HP, Wells Fargo and the U.S. Social Security Administration are leaders in Web accessibility," said Dr. Marc Maurer, President of the National Federation of the Blind. "We created the certification process so that Internet accessibility leaders, such as these, could be publicly recognized by the NFB for their efforts. We hope that more companies and organizations will follow the example that these innovators have set and make Web accessibility a priority in their organizations." The award was granted after the National Federation of the Blind conducted task-performance tests of the primary functions of the organizations' Websites. The Social Security Online Multilanguage Gateway received an E-Gov Explorer Award at the 2002 E-Gov Exposition. The award reads, in part, "The 2002 winners provide excellent examples of the genuine progress being made to deliver reliable and efficient E-Government services. E-Gov congratulates the 2002 award winners." The Newsletter on Newsletters awarded Social Security's online newsletter, eNews , the 2001 "Gold Award" for online subscription newsletters. The "Gold Award" is one of the oldest and most prestigious awards given to newsletters. Described by Time Magazine as "The bible of the newsletter industry," the organization has been covering newsletters since 1964. Newsletters were judged on their overall excellence - superior editorial content, enhanced by appropriate design and typography, use of photographs and graphics, and ease of access. "Social Security's eNews is an eminently readable newsletter," said Paul Swift, Editor and Publisher of The Newsletter on Newsletters. "The only other federal agency ever to win the Newsletter Awards Competition was the Federal Election Commission in 1994." The April 26, 1999 edition of Government Computer News featured an article on Social Security Online entitled, "SSA sets mature example for Websites." The GCN article said, "The Social Security Administration's main website is a good example of how to extend Web reach through custom applications. It provides fast public access to a wealth of data collected by SSA." The Dow Jones Business Directory chose Social Security Online as a "Select Site." The Directory, which contains more than 1,000 Website reviews, is written and edited by the Dow Jones business news service. Social Security Online was considered along with thousands of other business sites in many categories. It was named a "Select Site" because it provides exceptional value to Dow Jones' readers, business professionals who are savvy Internet users, who use the service to find reliable information on the Web. On March 24, 1998, Social Security Online was featured on a financial show hosted by Bill Griffeth as MSNBC Power Lunch's 'Cool' Site of the Day. Lycos, one of the largest search engines on the Internet, named the Social Security Administration's History Web page as one of the Top 5 percent sites on the Web for September of 1997. The Government Executive Magazine named Social Security Online as one of the "Best Feds on the Web", along with nine other government websites including those of the IRS, the Smithsonian Institution, and the White House. Implementation of the Social Security Statement won " BEST OF CLASS" in the Government/Public Administration category at the ICE (Internet Commerce Expo). A June 3, 1996 article in the Washington Business section of the Washington Post named Social Security Online " the ultimate website." The article particularly cited the online Social Security Statement . Vice President Al Gore, along with the National Performance Review, honored Social Security's Team Internet with the prestigious " Hammer Award" for their work in developing Social Security Online. Social Security Online was selected as one of the Top 5 percent of Websites by the Point Survey. On June 5, Social Security Online was the " Pick of the Week" of the National Center for Supercomputing Applications. The May issue of PC/Computing magazine cited Social Security Online as one of the " 101 Best Net Bets," describing it as one of "the most interesting and useful" places out of the "more than 2,000,000 sites on the Internet."